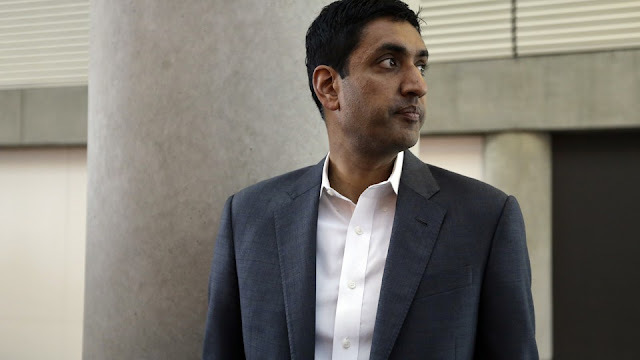 Rep. Ro Khanna (D-Calif.) plans to introduce a new “jobs for all” plan, reports the MIC Network. “What my proposal tries to do is take the place of the center-left economics, and the progressive economics, and offer a hybrid approach at solving structural unemployment,” Khanna said in an interview with Mic. Khanna’s plan, he says, is based on a program used in Germany that combines increased public-sector work with subsidized private-sector jobs to achieve full employment. “One of the unique parts of my bill fulfills FDR’s vision for a ‘right to work’ — not just through the [Civilian Conservation Corps] or WPA, not just a federal job, but as FDR talked about, in industry, in farming, in mining,” Khanna said. Khanna’s plan calls for allowing businesses to take on up to 15 jobs subsidized by the federal government at 120% of the cost of labor and 150% for unionized jobs. This plan is, of course, based on economic idiocy with crony shifting of money flows. the money for these subsidized jobs comes from? It is, of course, tax money, which means those taxed will have less money to spend on what they want, and therefore unemployment climbs in those sectors. With the money going to crony companies that are close to the center of power--Ro's created power. On top of it all, notice his central planning scheme subsidizes union jobs more than non-union jobs. Do you want to bet he gets the union vote in his district? The only alternative to increased taxes for this re-distribution scheme would be deficit spending, which would mean the crowding out of private sector borrowing or Fed monetizing the debt--all this would do is nothing but suffocate the economy and lower the standards of living across the country. By subsidizing some private-sector jobs, Khanna addresses one of the major problems some economists have with a job guarantee — the risk that government jobs would “crowd out” private jobs and force the government to effectively take over broad swaths of the economy. But his plan is just taking, in one fashion or another, money from the private sector and re-directing it to less efficient sectors that will benefit him in some crony way by being close to power. To the degree he eliminates misdirection, he is reintroducing free market alternatives in a technocratic manner where it is not required. The free market can take care of himself. Yeah, he is right, this is a German plan. It is Hitler's economics without the killing of the Jews. Like most leftards, he assumes that people want to work. Hell, I don't want to work. Just give me a government check. "One of the unique parts of my bill fulfills FDR’s vision for a ‘right to work’ ... FDR wanted us to have a right to work in the public and private sector,"
No questioning of FDR's vision? No analysis of the results of FDR's handiwork? This is deification of a monster. Let me guess, Khanna is a product of California's government school system. Or a very savvy crony. 'Open borders' libertarians are now seeing that importing his parents from the Punjab has consequences.